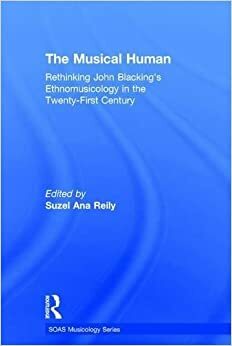 The musical human: without a doubt, this vision of the human species as naturally musical has become the most enduring legacy John Blacking bequeathed to ethnomusicology. The image aptly embodies his preoccupations, which integrated theoretical and methodological issues within the discipline with a deep concern for the physical and psychological well-being of humanity. Blacking believed sincerely in the power of music, and he contended that people's general health depended upon the musical opportunities made available to them. For this reason, he placed great importance upon ethnomusicology, the discipline that investigates the way different societies around the world organize their musical activities, and the impact of these diverse alternatives upon the people involved in them. Each essay draws upon distinct aspects of Blacking's writings but complements them with quite different sets of sources. Themes include the role of fieldwork in the postmodern era; the role of music amongst subaltern communities existing in a rapidly changing social environment with particular reference to Vendaland; the manipulation of traditional performance settings in pursuit of political or social strategies; children's music acquisition as an indicator of the innate musical capacity of humans; the biology of music making; the creation of pleasure, pain and power during dance; cognitive processes and the social consequences of the power of music, and a consideration of the method of applying ethnomusicological research methods to Western art music. In this way, the volume provides fresh assessments of Blacking's work, taking up his challenge to push the boundaries of ethnomusicology into new territories. Suzel Ana Reily is a senior lecturer in ethnomusicology and anthropology at Queen's University Belfast.Suzel Reily studies Virtual Ethnography, Indian Music, and Migration mobilities.